Wichapi was the matriarch of the village in “Kiksuya.” It was a small part, but quite essential to Akecheta’s journey. We spoke to the actress behind the part, Irene Bedard who is also the voice actor of Disney’s Pocahontas! We spoke with Irene about her heritage, her experiences on the show, and of course, what it’s like being Pocahontas. It’s our 100th episode and we’ve got a great one for you. 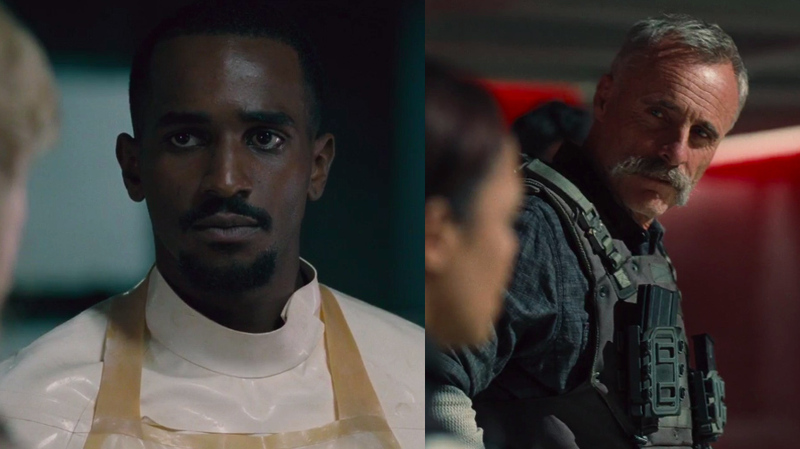 We interview Patrick Cage (Phil the tech who went on the worst train ride ever) and Timothy V Murphy (Coughlin the badass soldier who wouldn’t stop making fun of Stubbs). Check out Craig and Meredith’s discussion in this jam-packed episode! Zahn McClarnon’s performance as Akecheta in Westworld was one of the highlights of season two. 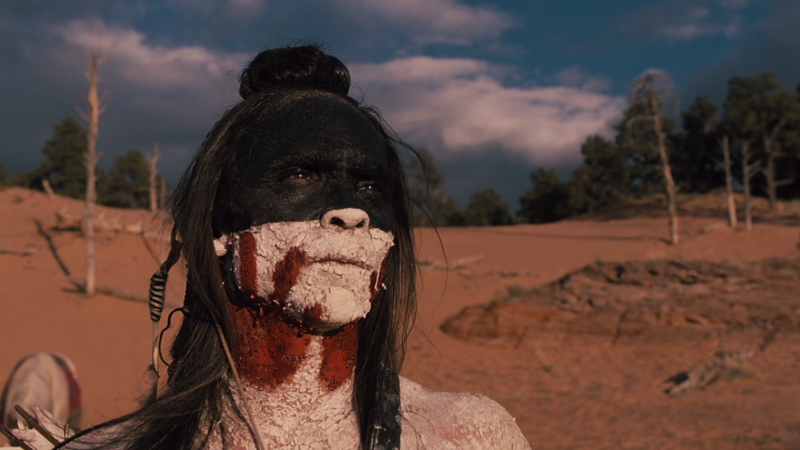 We got the chance to interview him and spoke with him about how he got started in acting (2:38), how he ended up on Westworld (8:06), his Native American culture (13:16), the makeup (32:49), horseback riding (37:26), filming in stunning locations (40:53), his role in “Reunion” and a fun behind-the-scenes story (44:16), the brilliance of “Kiksuya” (51:22), and much more! Season two was rich with religious symbolism and commentary. Scholar of religion Andrew Aghapour joins us to discuss Dolores and Bernard as prophets (5:29), free will and choice (12:03), James Delos and resurrection (18:33), Akecheta and the Ghost Nation (27:39), the concept of multiple worlds (33:34), and looking forward to season three (41:19). Louis Herthum plays our favorite glitching host Peter Abernathy. We discuss his thoughts on season two and the finale (2:26), his role as a major plot point (12:36), what goes into the part (15:07), how he was bolted to the chair (25:00), his chemistry with Evan Rachel Wood (29:59), the possibility of him in season three (36:25), his favorite moment as a viewer (41:22), and more! Craig Carter and Meredith Fowler take a moment to review the incredible season two of Westworld. They discuss the Teddy and Stubbs twists (2:22), themes of privacy and choice (5:31), lingering questions (11:28), podcast milestones (15:15), our favorite blooper (20:04), the music (25:38), things we didn’t like (31:52), and our favorite moments (42:07). Season two of Westworld might be over, but we’ve still got some great episodes of our podcast coming up. Craig Carter gives you a preview of the exciting episodes we have in store. There was so much to talk about in “The Passenger,” we had to break up our deep dive into two parts. Craig Carter and Brian Sutorious have a few more notes about the Man in Black (1:41) before discussing Jeffrey Wright’s AMA (7:27), Bernard and Dolores’ journey to the Forge (12:32), and the creation of Charlores and the season’s resolution (59:12). Sweet, fancy Moses. That was one hell of a season finale. A ton of answers and a ton of questions. After talking about the episode in general (2:10), hosts Craig Carter and Jess Bowers discuss Maeve’s sacrifice (7:11), Dolores’ body switching (13:15), the Man in Black being... somewhere (24:01), and our favorite moments (31:37). To help make sense of everything that’s happened in the almost two seasons of Westworld, Kim Renfro and Jenny Cheng of Insider have created a chronological breakdown of the major events of the show. Craig Carter and Jess Bowers go through the timeline and discuss the early days of the park (2:31) and the events after the “Reveries” update (20:25). Well, that episode wrecked us emotionally. But we’re here for you. We’ll hold you gently until the pain goes away while we dive deep into “Vanishing Point.” Craig Carter and Brian Sutorious discuss some cool things from last week’s episode (2:12) before talking about Ford meddling with Bernard and Maeve (8:38), Dolores and Teddy’s tragic journey (38:37), and the Man in Black winning the father of the year award (53:49). Westworld surprised us again with an emotional and intense episode. Craig Carter and Jess Bowers dive deep into “Kiksuya.” After giving their general thoughts on the episode (1:35), they discuss Akecheta’s beginnings (6:50), his quest to find Kohana (17:52), sharing his knowledge with his people (59:10), and a fun theory or two (1:21:20). This week Westworld took a fascinating turn focusing almost entirely on the Native American tribes present in the park. And it was breathtaking. Craig Carter and Meredith Fowler react to “Kiksuya,” one of the best episodes yet, before discussing their favorite moments (18:18). 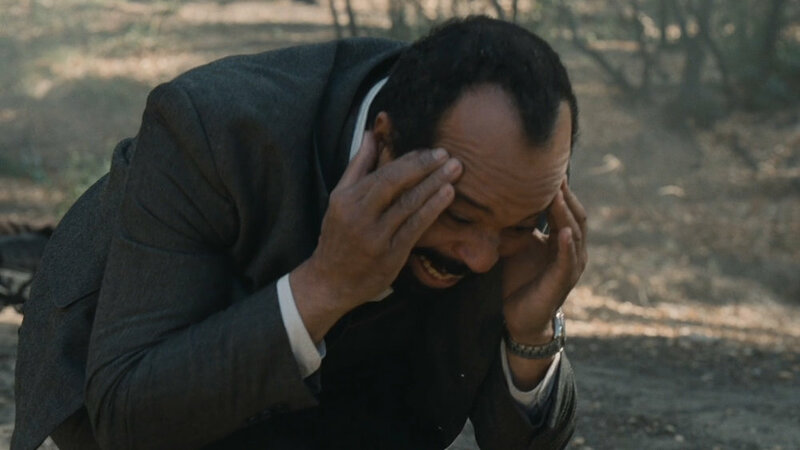 Les écorchés literally translated means “the tormented.” That turned out to be very appropriate with all the torment we saw in the latest episode of Westworld. Craig Carter and Ashley Melzer give their general thoughts on “Les Écorchés” (1:24) before discussing the attack on the Mesa part I (24:42), the Man in Black and Maeve (43:08), and the attack on the Mesa part II (54:50). This streak of fantastic Westworld episodes just keeps going! “Les Écorches” was magnifique! Craig Carter and Jess Bowers discuss the explosive episode (3:27) before talking about their favorite moments (16:51). It’s good to see you again, old friend. Anthony Hopkins is making a surprise appearance on Westworld and we couldn’t be happier. We made a video to help commemorate his return to the show.